I recently returned from a conference whose theme had to do with the marking of time in the church. The conference was good as far as it went, but it felt to me like it lifted out and treated a very, very narrow slice of the who issue — namely how we mark time in the church by the use of a system of weekly readings (the lectionary). It was a bit unsatisfying for me because it left so much on the table. In North American culture the passing of time has become inextricably linked with the notion of progress. As time passes, things will inevitably get bigger and better. To witness, every four years, the American presidential candidates stand before us and proclaim that the best years of America are ahead of us, thus enforcing the myth of perpetual, eternal progress, often despite the very apparent indicators all around us. It doesn’t take much reflection to grasp the absurdity of that position. No culture in the history of humanity has continued a path of increasing growth and increasing economic well-being into perpetuity. Kingdoms rise and fall; corporations rise and fall. Human persons are born, they grow, and they die. 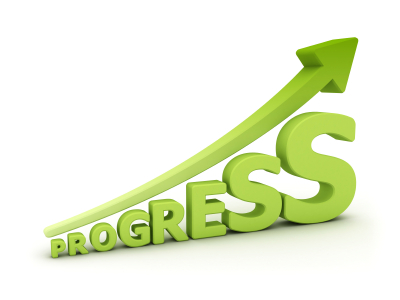 Even in the church, we have bought into this notion of perpetual progress. There’s this unspoken, but clearly accepted notion that congregations and congregational leaders are somehow failing if the membership numbers, average weekly worship, and budget don’t keep growing. Yet, that is not a realistic expectation. The culture around keeps changing, communities change, congregations themselves go through life cycles; so the notion that as time passes, congregations will continue to progress (with the definition of progress that things keep getting bigger and better) is a patently unrealistic expectation. When I think about how Jesus talks about the kingdom of God, he talks about growth in a way that somehow seems different than our American notion of progress. It’s hidden, like the yeast and like the seed that germinates in the darkness of the soil, apart from anyone’s ability to see it or notice it. As time passes, what is intended to be accomplished is. The New Testament seems to support the notion that God is moving all things toward their fulfillment in Christ, but I’m suggesting that it’s not the same thing as our cultural notion of progress. If cycles of birth and death are the way of the created world; if that is how we experience the passing of time with respect to the changing seasons; if that is, in fact, how our very lives are structured, it seems to me that it would be a helpful and refreshing way also to look at our work in congregations and the church, both with respect to our internal work of community building, and in our external work of enacting God’s intentions for the world. Especially the latter: if things are moving toward telos, fulfillment will be the enactment of God’s vision for the human community and all creation. And that’s what we ought to be working towards, regardless of whether it looks like progress or not. This entry was posted in Uncategorized and tagged congregational ministry, kingdom of God, progress, telos, time on May 9, 2014 by Jim Honig.